I enjoyed “Fine Art Friday” in 2012 so much, I decided to stick with it for 2013! Thankfully, several of my talented photographer friends did, too! So, it will work just like it did last year: the last Friday of every month, each of us will post a fine art image on our blog, then link to another person. You’ll be able to hop from blog to blog for a little dose of inspiration! 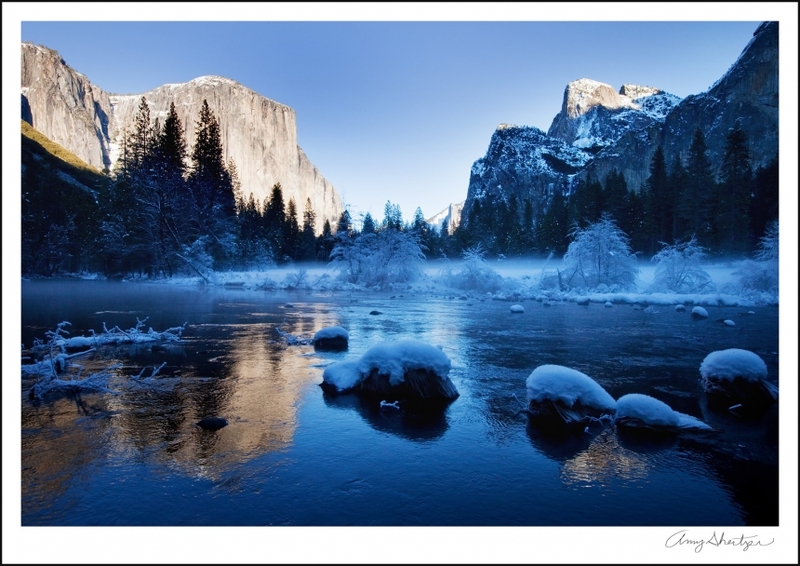 For January, I thought I’d post an image from my recent trip to Yosemite National Park. I went with my family, seeking an escape from Los Angeles, a little time in the snow, and a lot of soul-filling scenery. Thankfully, we found all of that! Now, head on over to see what Cheree Federico | Fine Art Photography has to inspire you with this morning! gorgeous! Love it!! The colors, the reflection, the icy wintery feel, and of course the subject. Stunning image! This is just beautiful, Amy! I love everything about it and the image makes me want to visit the park. Oh my word this is such a gorgeous scenery! You captured it so well. Wish I could see things like this. Thank you so much for sharing this!